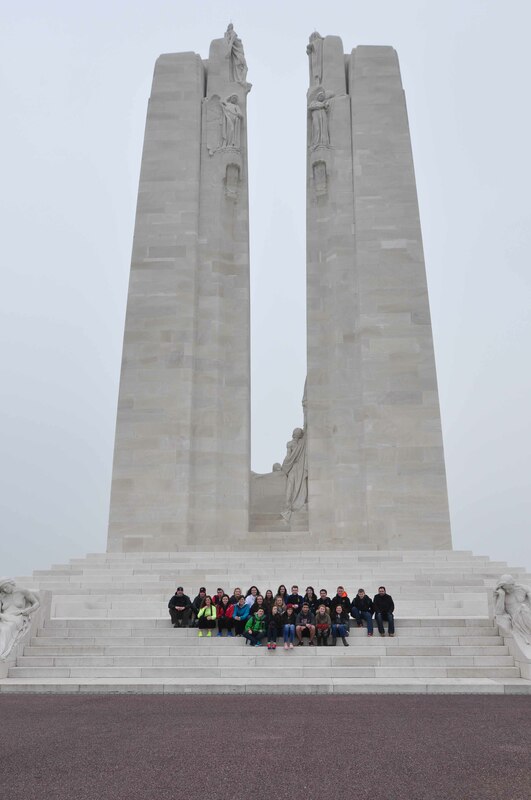 In March 2014, St. Patrick students travelled to the Netherlands, Belgium and France on EF’s Beaches and Battlefields tour. The group was led by teachers Carlo Cappello, Jo-Anne Borgo and Dave Battistel. In the Netherlands, the group toured the canals, visited Anne Frank House and the Waterlooplein. Travelling from Amsterdam to France, stops were made at the Bergen-op-Zoom Canadian War Cemetery and the town of Ypres in Belgium. In France, the group visited Albert, Thiepval, Beaumont Hamel, Vimy Ridge, Dieppe, Normandy and Paris, as well as the Canadian cemeteries at Beny-sur-Mer and Brettville-sur-Laize.